With the Z-N720 ZENEC offers a 2-DIN in-dash navigation system that fulfils all your wishes in terms of functionality, ease of use and quality. Stress-free travel throughout Europe – thanks to the customized Primo 2.0 Nav software, the Z-N720 not only offers the latest map packages but also convinces with a diversity of functions and accurate route guidance. 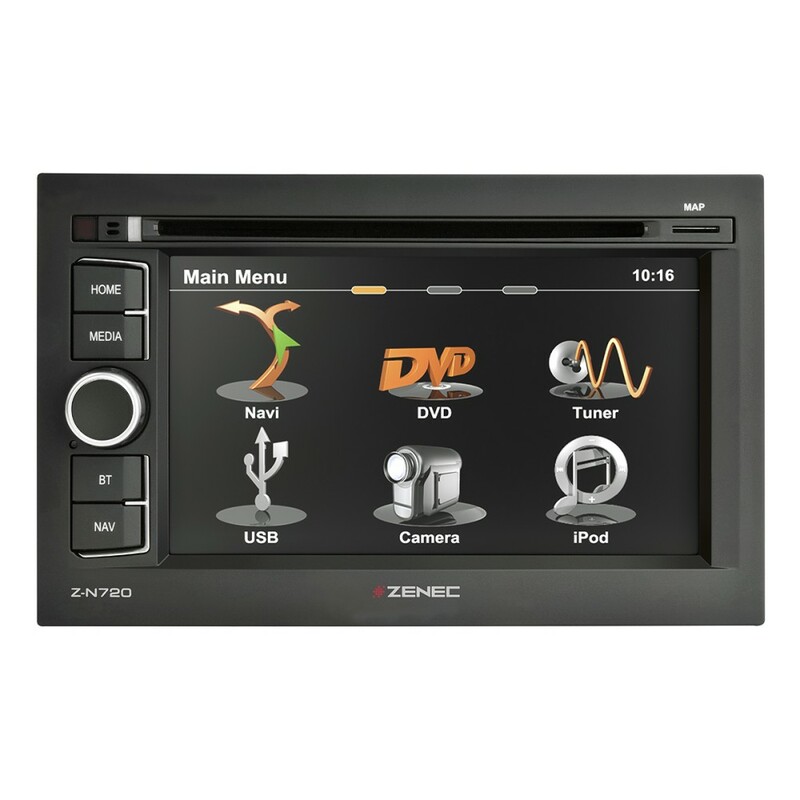 Equipped with a high-resolution touchscreen display, CD/DVD drive, USB port and a hands-free system from Parrot, the Z-N720 is also a versatile entertainer in any car. In terms of easy installation, ZENEC breaks new ground with the Z-N720. The high-tech system has a detachable front panel to make the integration as straightforward as possible. 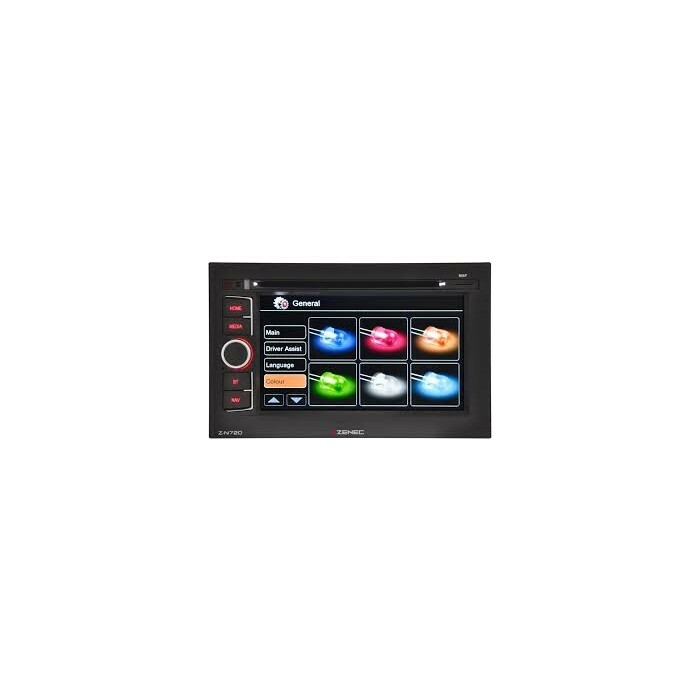 With the two provided front panels, one in high gloss black, the other with matte texture, the Z-N720 can easily be installed in all vehicles with a 2-DIN mounting slot. But that's not all. ZENEC has introduced specific OmniMask mounting kits offering perfect fit and OE aesthetics for a variety of vehicles. The OmniMask kits contain front panels with the original cockpit look, CAN/stalk interfaces and adapters that ensure optimum integration of the Z-N720 into the specific vehicle – technically and visually perfect, like a OE factory navigation system. Eco and Smart Route Planning, Outlook address import, Real Junction View and Real Signpost rendering etc. hi there, im not too sure what you are trying to ask here, this unit does have nav, and can work with steering controls.